Tom Porter's new book, "And Grandma Said . . . Iroquois Teachings", is a collection of Tom's memories and teachings from his beloved Grandmother "Hattie." A collection of memories about the oral history and traditional teachings of the Haudenosaunee passed down through the generations. For more information you can email us at info@mohawkcommunity.com with the subject line "Tom's New Book." <?xml:namespace prefix = o ns = "urn:schemas-microsoft-com:office:office" />Thomas R. Porter (Sakokwenionkwas-�The One Who Wins�) has been the founder, spokesperson and spiritual leader of the Mohawk Community of Kanatsiohareke (Ga na jo ha lay gay) located in the Mohawk Valley near Fonda, New York since 1993. He is a member of the Bear Clan of the Mohawk Nation at Akwesasne. (Akwesasne, also known as the St. Regis Mohawk Reservation, straddles the New York State/Canadian border near Massena, New York.) He is married to Alice Joe Porter who is Choctaw, and has six children. Mr. Porter; held the position of sub-chief for the Tehanakarine Chieftainship title, one of the nine chief titles of the Mohawk Nation, for 21 years (1971-1992). Chiefs are considered to be spiritual as well as political leaders. Some of the duties of that position were: officiating at marriage ceremonies, death ceremonies and numerous other traditional ceremonies held throughout the year. He was the director of and, a teacher at the Akwesasne Freedom School and taught at the Kahnawake Survival School. He taught Mohawk language, philosophy and history at both schools as well as carpentry at Kahnawake. The purpose of both schools is to teach all of the usual subject matter, but within a traditional Mohawk worldview and with emphasis on keeping the Mohawk language alive and vital. It is said that with the loss of language, there also is the loss of at least 50% of a people�s culture and identity. 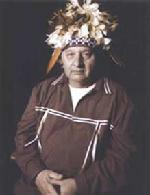 Mr. Porter worked as Secretary for the Mohawk Nation Council of Chiefs for 8 years and as interpreter for 11 years. He is still called on to help out as needed, when his schedule allows. Mr. Porter organized the �White Roots of Peace�, a traveling multi-media communications group designed to revitalize Native traditions and beliefs in North America. He was the main speaker and lectured for the group at various universities and colleges all over the United States and Canada. Currently, Mr. Porter works as the Native American consultant for the New York State Penitentiary System and as Chaplain for all of the Native inmates in the New York State Penal System. His office is located in Albany, New York, but he travels all over the state to meet with Native inmates. He confers with them, teaches and helps them conduct traditional ceremonies. 1981 Rothko Chapel Award for commitment to truth and freedom. Rothko Chapel is an international organization based in Houston, Texas. This award is given once a year to someone in the world who is then asked to spend a month hosting dinners, giving speeches and answering questions about, in this case, Native spirituality. 1999 Indian of the Year Award for outstanding contributions to Native people and for the betterment of all people. Thunderbird American Indian Dancers, an organization based in New York City, dedicated to promoting cultural awareness and raising scholarship funds for Native scholars. 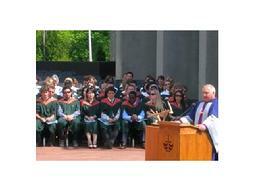 June 19, 2009, receives an honourary Doctor of Laws degree from Trent University in Petersborough, Canada for his contributions as an Indigenous cultural educator, Elder and Spiritual Leader. Tom "Sakokwenionkwas" Porter has been a nationally recognized figure in Indian Country since the 1960�s when he co-founded the White Roots of Peace, a group of Iroquois Elders who toured the country sharing traditional teachings and encouraging Indians to embrace their respective Native traditions. Recognizing that Mohawk language and culture were dying out, he also co-founded the Akwesasne Freedom School for grades K-8, with a curriculum entirely in Mohawk. Mr. Porter is recognized nationally as a compassionate and inspirational speaker about the destructive effects of substance abuse on Indian families, communities and nations. As an educator, Tom has taught a range of subjects at the Akwesasne Freedom School, Trent University, Akwesasne and the Tyiendinaga Reserve, and has worked as a cultural researcher and consultant for the North American Indian Traveling College. Mr. Porter is the author of the book Our Ways, a study of Iroquoian clan systems, published by the North American Indian Traveling College, and has received the Rothko Chapel Award for commitment to truth and freedom. He also had a year-long internship under Chief Jacob Thomas at Trent University in Ontario, where he helped teach a course on Iroquoian Native studies. Tom is committed to implementing programs that facilitate an understanding of indigenous culture. He has created a college exchange program in which students perform community services at Kanatsiohareke during a one-week residency in return for presentations on indigenous history and philosophy, with a Haudenosaunee perspective along with the community members at night. Students from Cornell University, S.U.N.Y. Albany, Sarah Lawrence College, Virginia Tech, The College of William and Mary, Emma Willard School in Troy, NY, and Fordham University, and a long list of others have participated in this program. Five Nations Peace Belt - also referred to as the "Ayenwatha Belt"